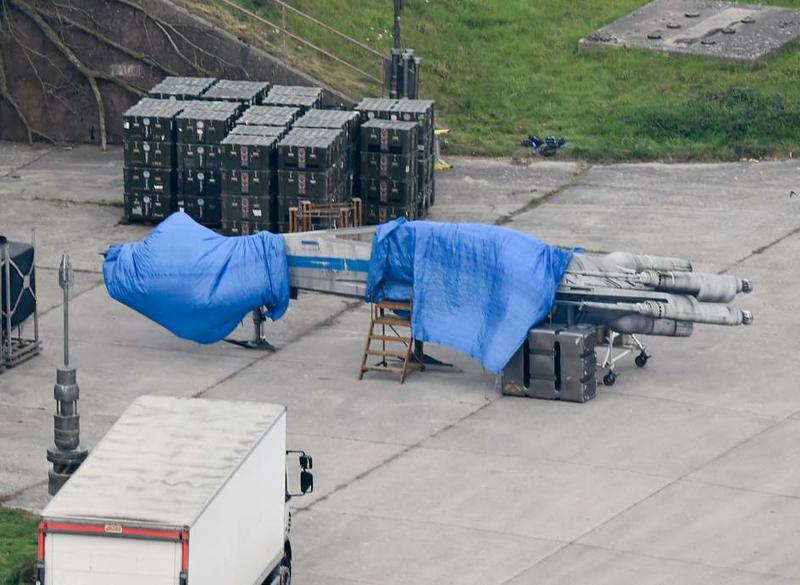 Star Wars Episode VII has moved to an outdoor set, and that means photographers have been able to snap some images of what exactly is happening at Greenham Common. 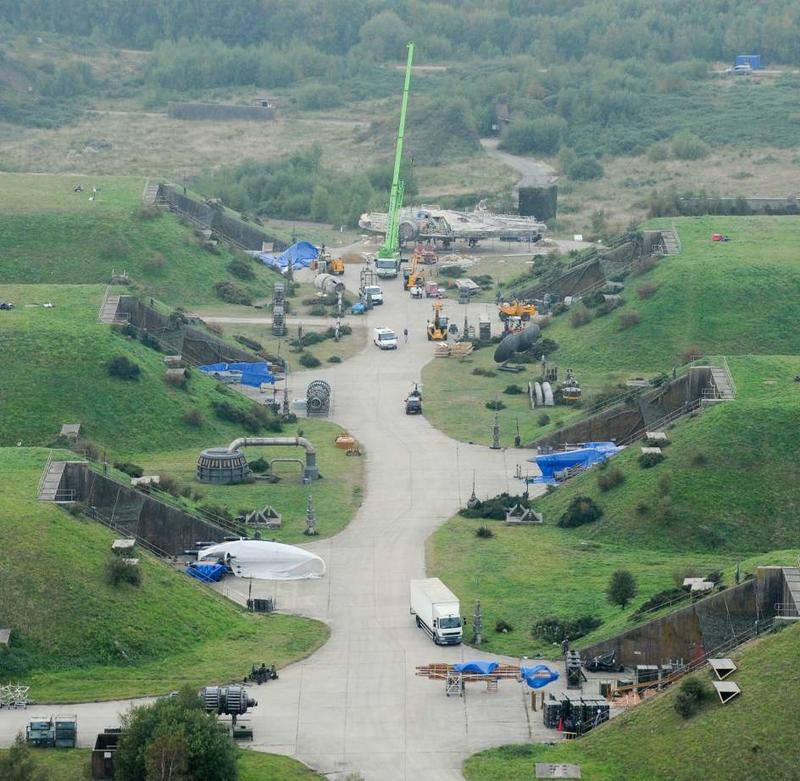 Production on Star Wars Episode VII moved to Greenham Common, a former Royal Air Force base, a few weeks ago, but up until recently the photos have all been very shaky and difficult to discern what we were looking at. 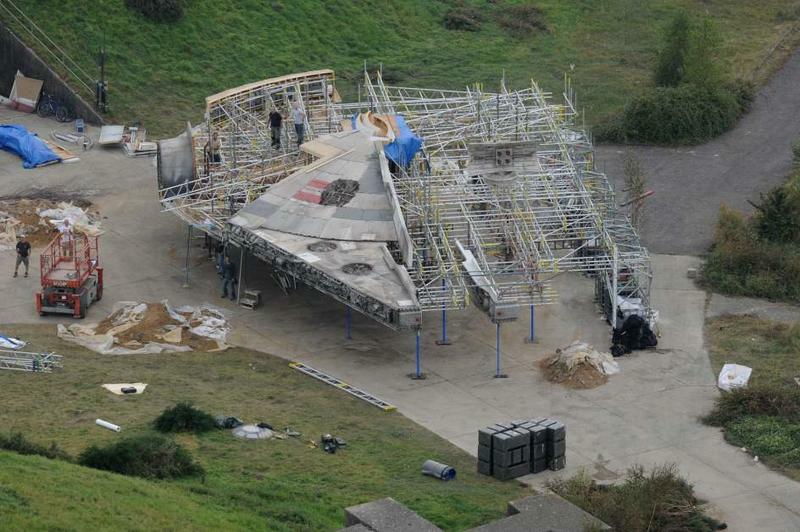 The Millennium Falcon shell and one X-Wing had been seen multiple times, but suddenly things have filled out a bit more. 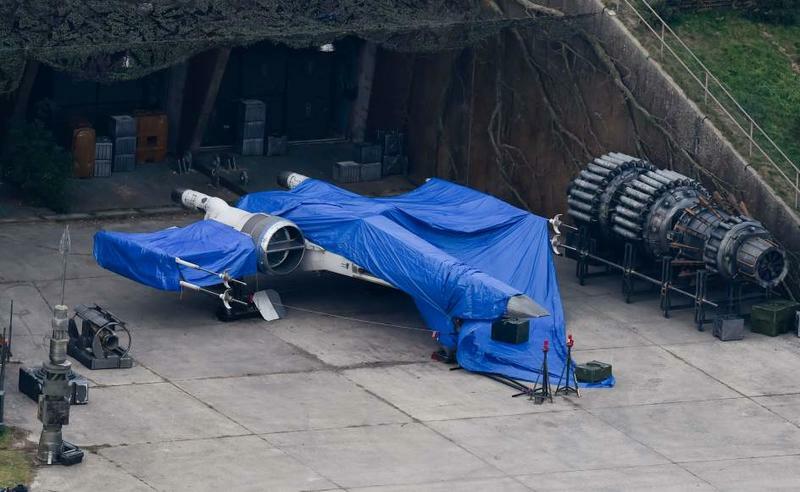 There are at least three full-sized X-Wings on set, all of which to be of the new variant style we’ve been seeing for a while. The overall feeling from these images is this is a very rag-tag operation, and not that of a polished military force. While I’ve thought for a while that this looks a bit reminiscent of the rebel base on Yavin IV in A New Hope, I was totally convinced. These new images, however, have made me scratch my chin a bit more because of – and please feel free to laugh – the vines growing along the hangar bays. Those more than anything remind me of that base. Sure there is no temple in site, but that could be added via CGI later on. Why would we return to Yavin IV? Who knows. Are these even rebels in the sense we knew them in the original trilogy? 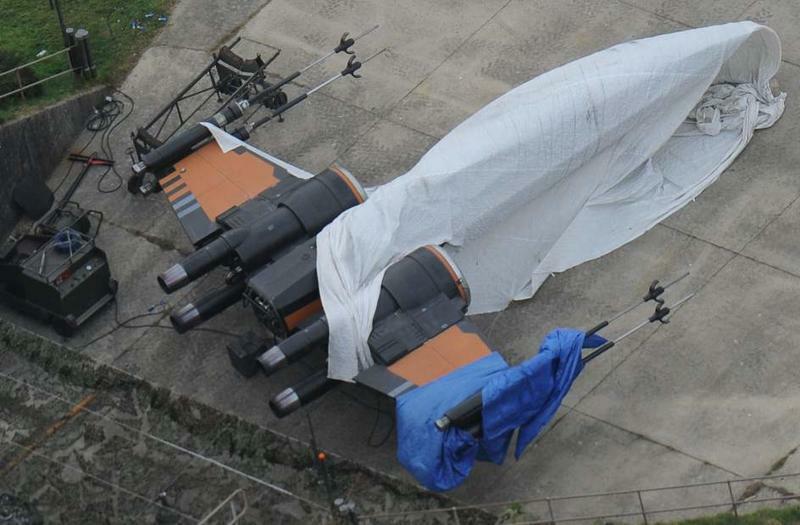 The black X-Wing, if that is its final paint job, makes me think this is a very patchwork group, and almost makes me wonder if this is a smuggler group. All of this is pure speculation on my part, but something is clearly not right in the galaxy far, far away at the time of Episode VII. Of course, it would make for a boring movie if it was. Star Wars Episode VII will hit theaters on Dec. 18, 2015.